Kimark System’s years of experience in working with Municipalities has taught us the value of being able to price solutions that make sense not only for our customer’s operation requirements, but also for their budgets. 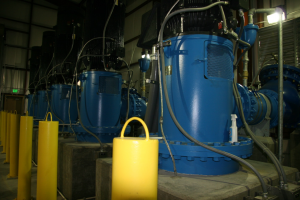 We have a vast amount of experience in dealing with Lift Stations, Pump Stations/Storage, and Collection and Treatment Plants. Kimark Systems has commissioned and maintained multiple pump stations and water towers. Our design and instrumentation solutions for water and wastewater systems include sensors that monitor tank levels, flow meters and automated pump operations. Kimark Systems continues to partner with industry leaders, helping them with the development of current products. These long-established relationships give our customers continuing confidence that our solutions are the best available choices, as well as ensuring the continued viability of their systems. Kimark can modify, make additions to, or implement any necessary Control Panels, PLC, Hardware, Software, and HMI/Operator equipment to do any job large or small, intricate or straightforward. Our engineering staff has broad experience with the leading SCADA Operator Interface software packages such as Wonderware lnTouch, GE iFIX, Rockwell RSView, KEP lnfilink, Schneider Citect and other custom software. This assures our customers of receiving a robust yet easy-to-use system for their operators, along with a wide variety of reports. Whether hard-wired, via Cell Modem, Licensed Frequency or Frequency-Hopping Spread Spectrum Radios, or a combination of both. Kimark Systems, working with industry standard communication networks. This gives our customers the certainty that their existing system can be expanded or blended into a communications network, which provides timely updates and reliable data. Modbus, Ethernet, CAN, and Data Highway are just some of the types communication platforms that Kimark uses in an ongoing basis. Anti-Intrusion devices can also be installed to help protect against, and warn of, tampering with hatches and doors.